To kick off page 5, here's a teeny tiny 17" Decca colour set which uses the Decca "Bradford" (or similar) hybrid chassis. This set belongs to my mate Tas in St Albrans and is a real corker. For cheapness this set doesn't have any pincushion correction and that's why the edges of the screen look a bit "bowed". This set is quite unusual and I've never come across another one before. It uses the single-standard version of the Decca "Battersea" chassis. 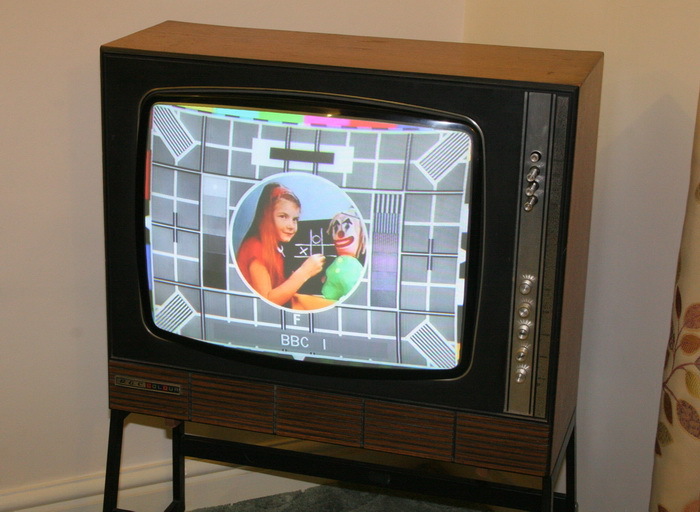 The chassis is all-but identical to its dual-standard cousin the CTV25 (see gallery page 4) but all the components involved in 405-line operation (apart from the multiband tuner) have been removed. It must have been quite a saving in cost (not to mention an increase in reliability) to remove all the nasty mechanical stuff including the system switches, solenoids, linkages and the Bowden cable. I was given this set by a very kind chap called Nick from a place called Ightham in Kent - Thanks Nick - The set is fantastic. The next set is a GEC 2041 utilising the single-standard version of the GEC hybrid colour chassis. The set was very kindly donated by a chap in London, delivered by my mate Steve from Sutton Coldfield and fixed by my mate Tas from St Albrans. Thanks Man-from-London, Steve and Tas. The set works very nicely now with a good tube and a lovely picture. 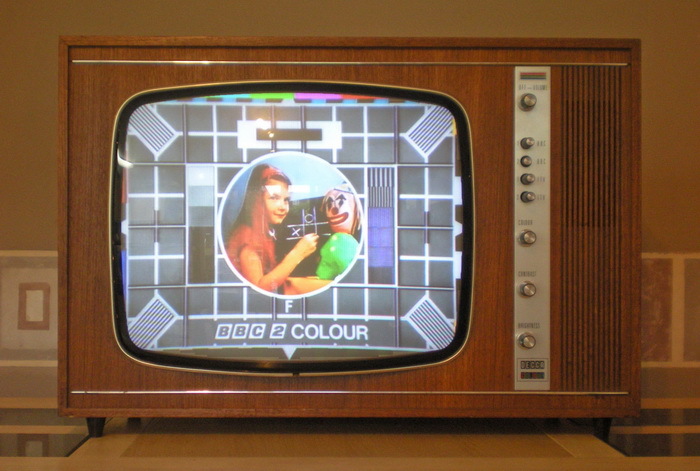 The original fault was that there were some really odd blanked-out splodges on the top and bottom of the screen which could be moved about with the pincushion-phase control. This turned out to be a simple fault that the lead had become detached on one end of the line-blanking circuit near the luminance output. 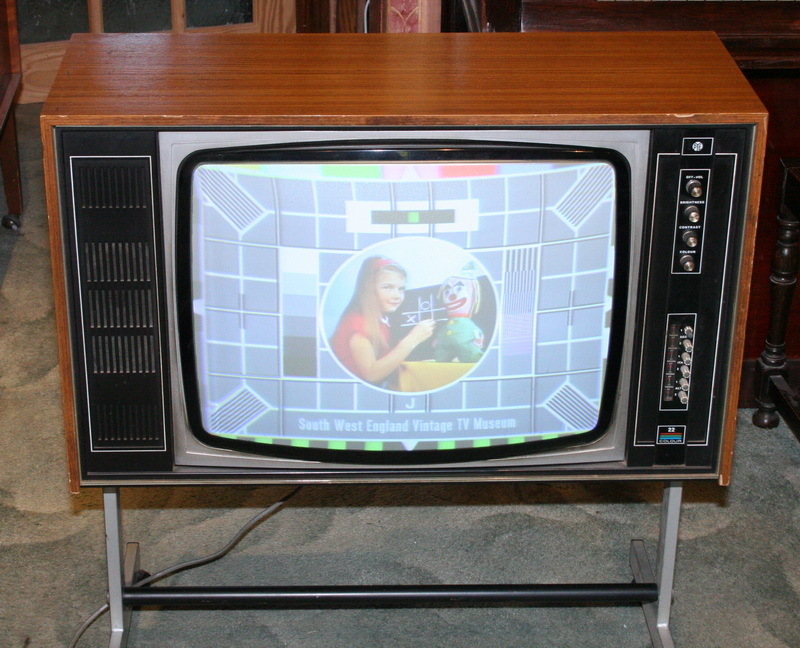 I bought this next TV came from an excellent chap called Steve in Deeside. 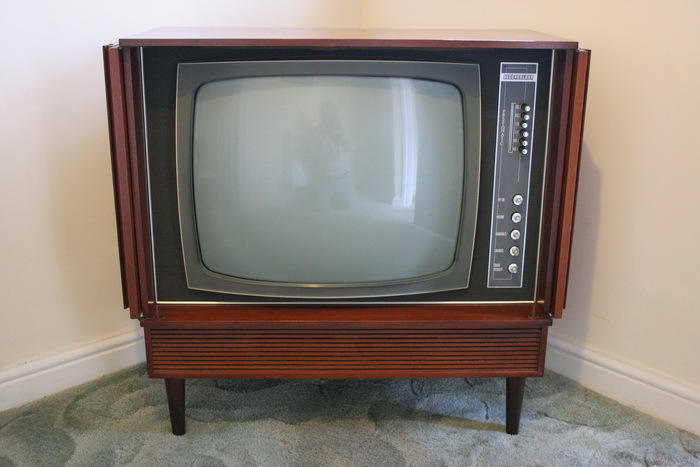 It's an experimental American RCA colour set from about 1965 fitted with a switchable NTSC / Simple-PAL decoder and designed to run on the standard UK 240V 50Hz supply. 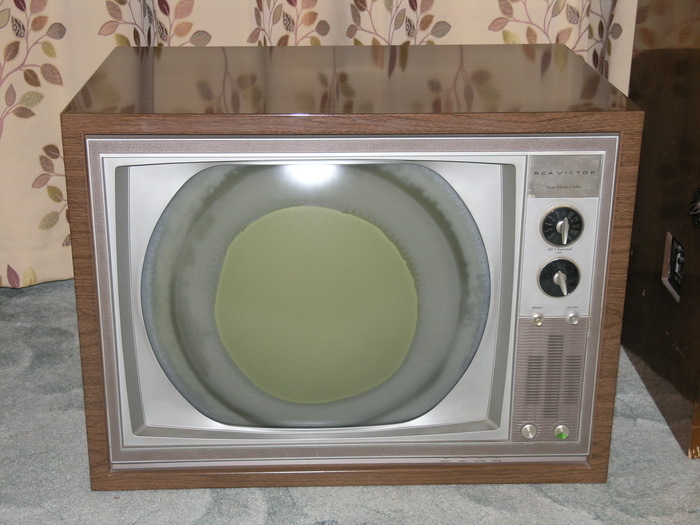 As can be seen in the picture, the 21-inch 21FJP22 tube has "cataracts" which are caused by air and moisture getting in round the edge of the tube between the screen and the bonded implosion-protection face-plate. The face-plate can be removed, the gunge cleaned off and then refitted but it's a pretty hair-raising job as the tube has to be heated to a high temperature. Perhaps I may get around to it one day - Apart from the tube problem the set works okay. I'll put up a better photograph one of these days.